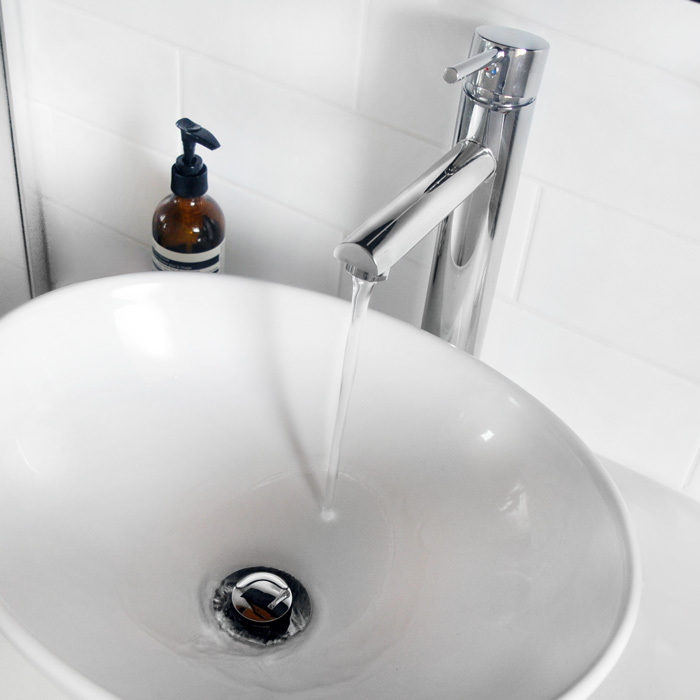 As 2016 comes to a close, we’ve noticed an elevated trend in monochromatic bathroom design. This has come with the rise of minimalism; living a simple live with less clutter and visual noise. If you have a small bathroom with very little natural light, it’s recommended that you choose lighter and brighter colours to dominate the room to maximise the little light you have. 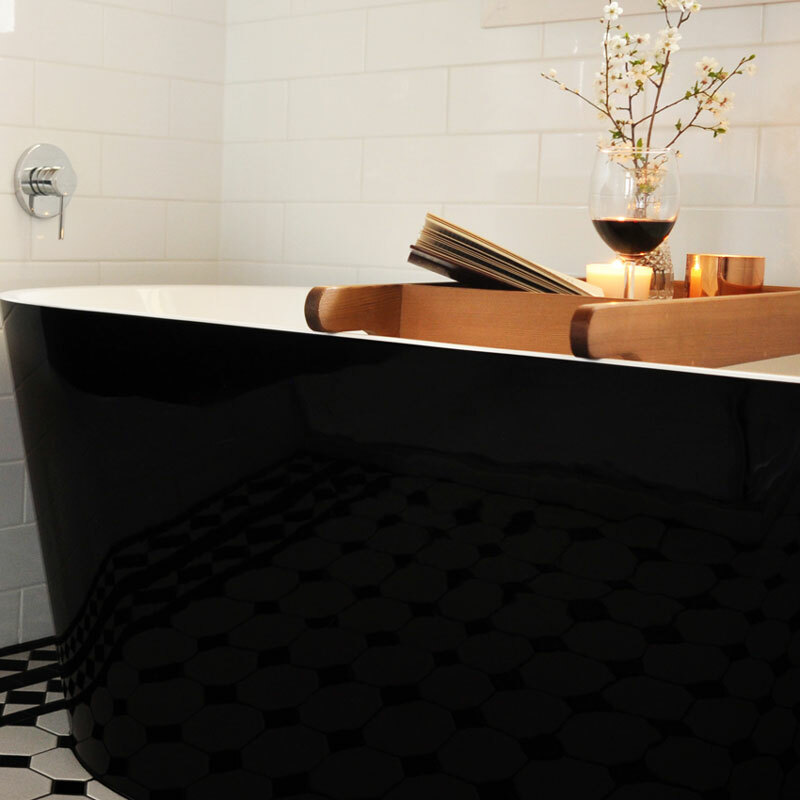 White wall-to-floor subway tiles with black grout are a massive bathroom trend. The clean pattern it creates is visually stimulating without being overbearing. If you have plenty of natural light, darker bathrooms can also be an option as the room won’t appear cave-like. Dark tiles when set wall-to-floor create a bold modern look. 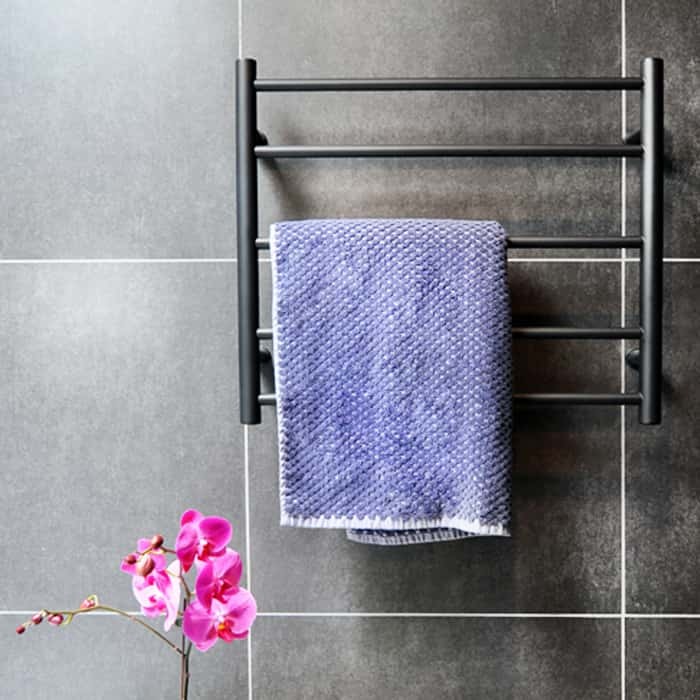 Whether you’re changing or keeping your current tiles or wall colour, it’s important to consider your bathroom canvas before you start decorating. Hotel Luxurious? Bold Masculine? Light Feminine? Creating an atmosphere is what’s going to dictate your design decisions from your choice in vanity to the towel rails. 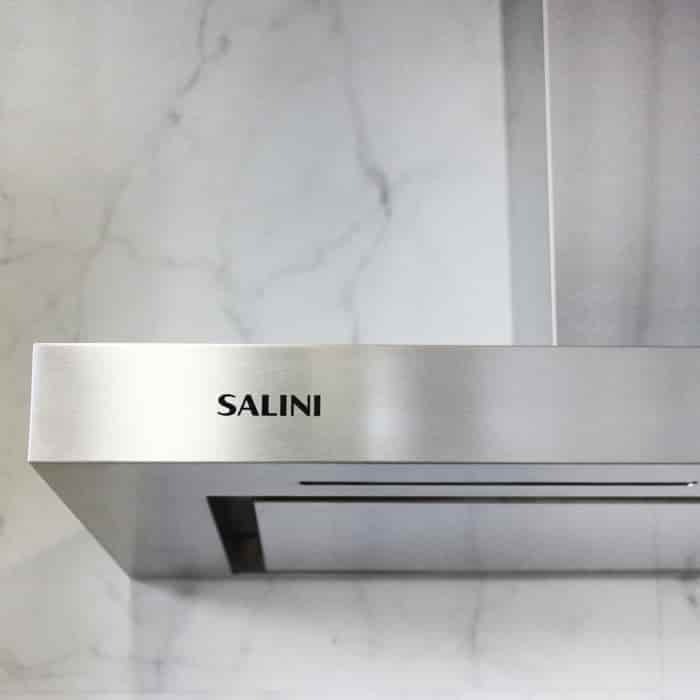 For example, if you want a luxurious hotel atmosphere in your bathroom you may include choose marble basins and heated towel rails. 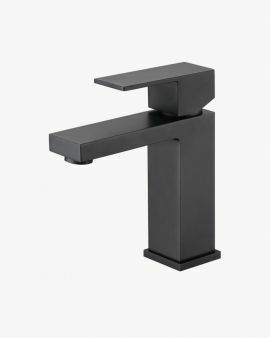 If you want a sophisticated bachelor pad atmosphere in your bathroom, choosing matte black square tapware, showerheadstowel hooks will help complete your bold masculine design. 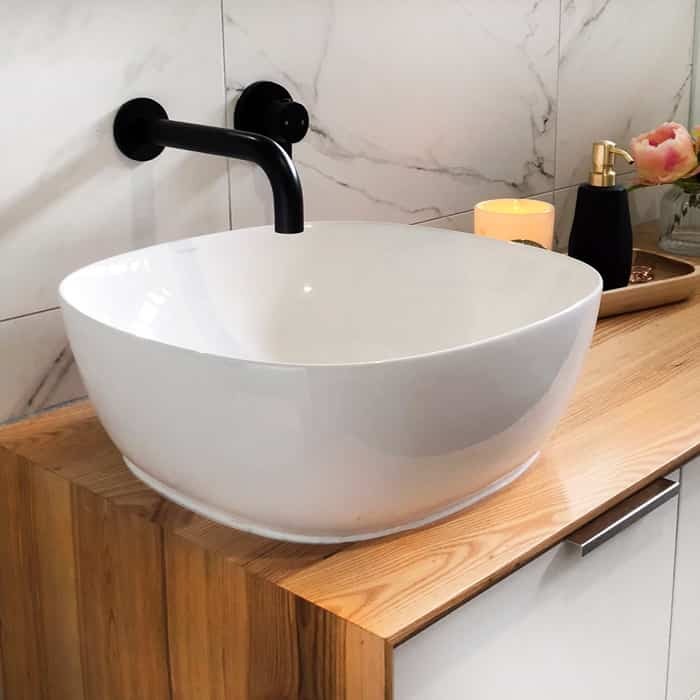 An light feminine choose pieces with curved edges and black accents such as centrepiece freestanding bath and large mirrors. 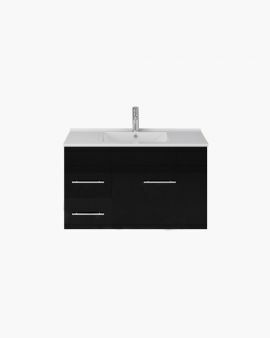 When you decide on the feeling of your monochrome bathroom this will help you plan how much black or white colours and textures will create the desired look you’re after. To achieve a chic monochrome bathroom, find a balance between your light and dark features. 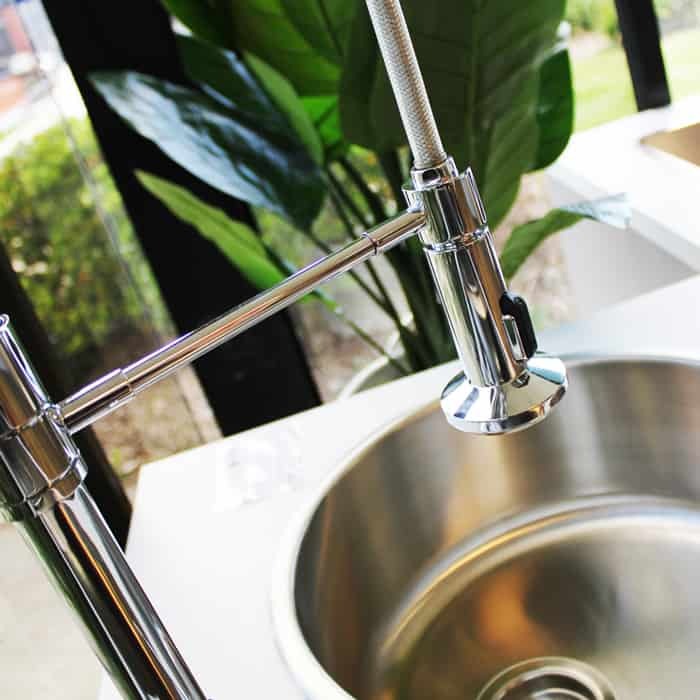 Look at your large key features that you want in your bathroom and contrast them. 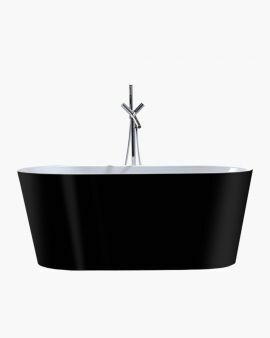 Black freestanding baths are definitely a sensational trend in bathrooms this year. They look absolutely luxurious in home improvement magazines, interior design blogs and on renovation TV shows. 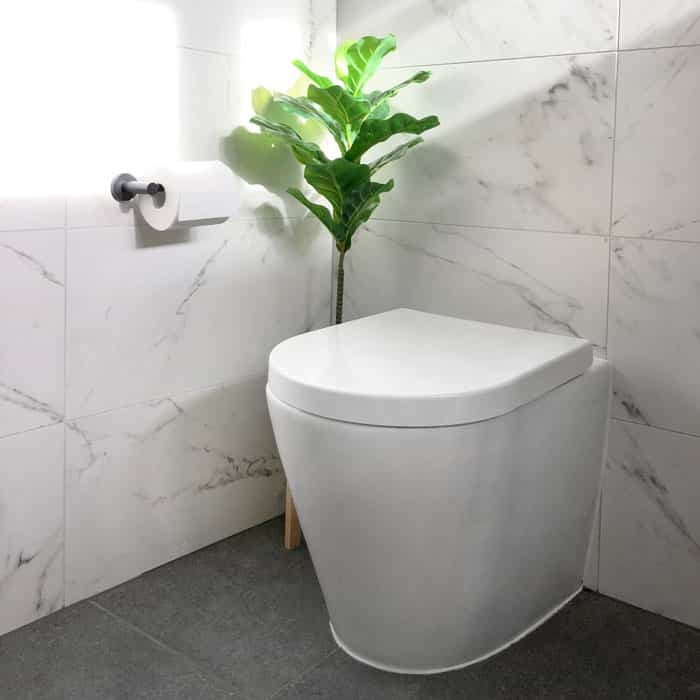 However, as much as you love them, consider the space and practicality in your current bathroom space before you buy one. 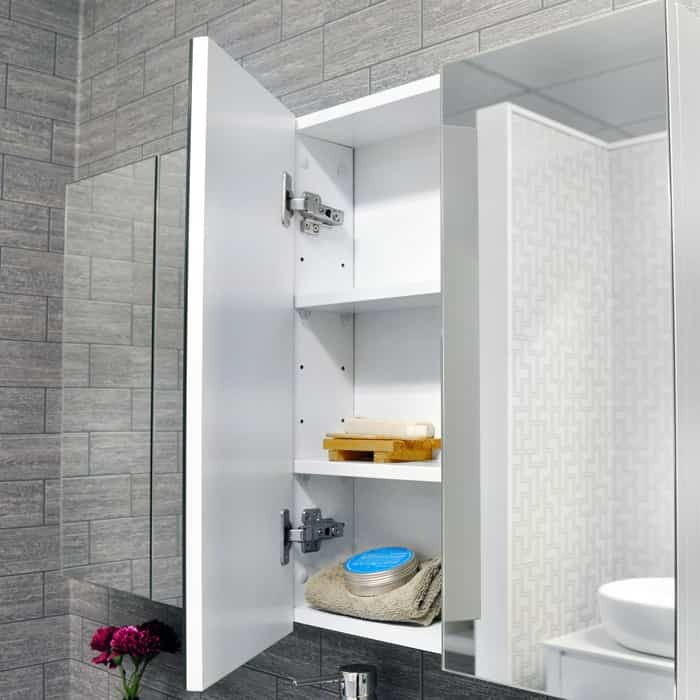 If you love a certain look, consider what’s practical in your bathroom space. If there’s a particular product you want, especially if it is bathroom furniture such as a bath, get advice before you make the investment. 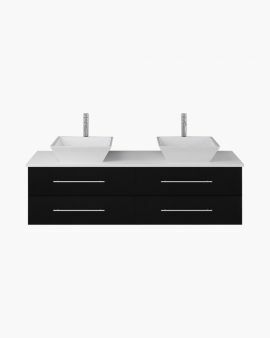 Liaise with our friendly bathroom specialists at Fontaine if you’d like an unbiased design opinion and/or a plumber if necessary. If you want to turn up the drama in your monochromatic bathroom, consider adding another element to create a triage of colours and textures. Popular choices are timber accessories. Timber is a natural fibred texture which will compliment and also break up your neatly planned black and white look while also injecting warmth. Adding timber to your bathroom is good luck according to feng shui. 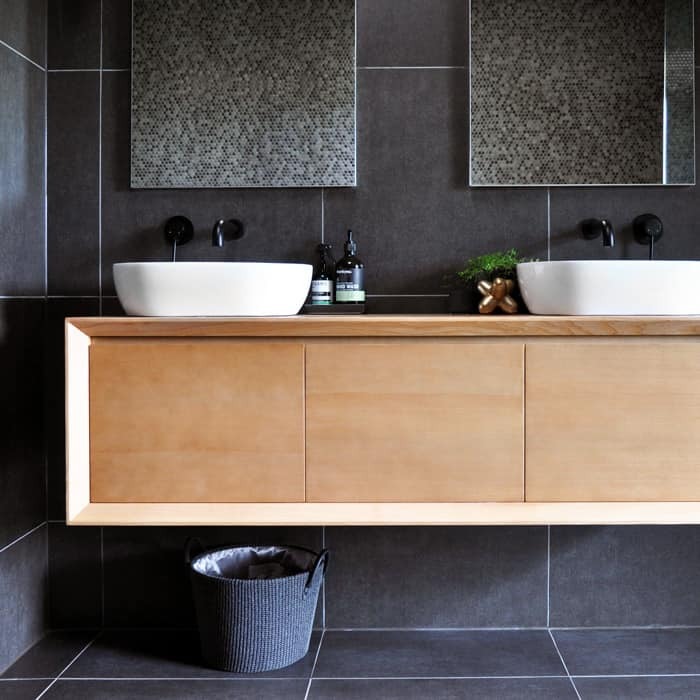 You can create this look by ordering your vanity with a timber top or as simply as adding a stylish timber bath caddy or storage ladder. Also consider: bold artwork, colour block towels and indoor plants. Browse various home improvement blogs and look at our Pinterest for more inspiration. Observe how others match and contrast different features in their bathrooms and consider how it would work for your space.